Do you ever walk into a space and immediately realize how much it reflects its inhabitant? Taking risks in home decorating can pay off by allowing your home to showcase your individuality and style. Quirky, eclectic design can't be defined by a set of rules, instead it's all about experimenting. 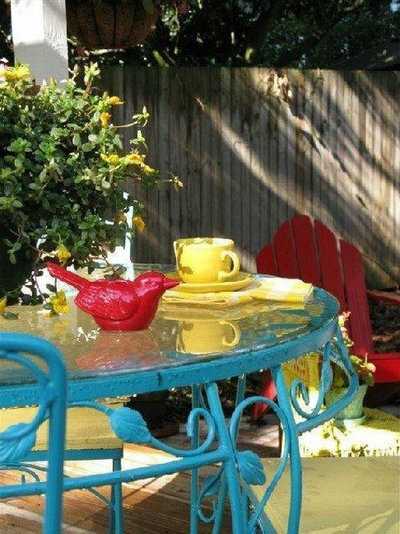 Try spray painting an antique bed frame, or all of your garden furniture in bright hues. Mix and match artwork, furniture styles and colors. Think outside the box: Repurpose materials to create something new. 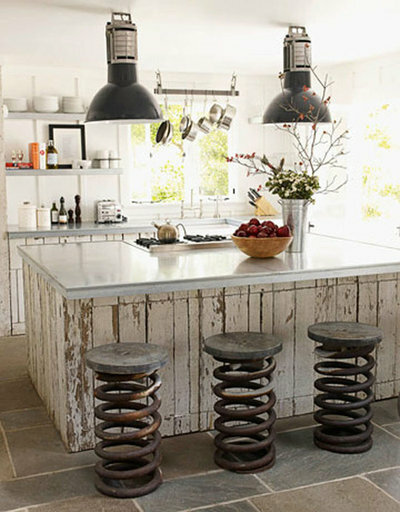 The stools made from salvaged material add instant life to this kitchen. What can I say? A truly unique space! 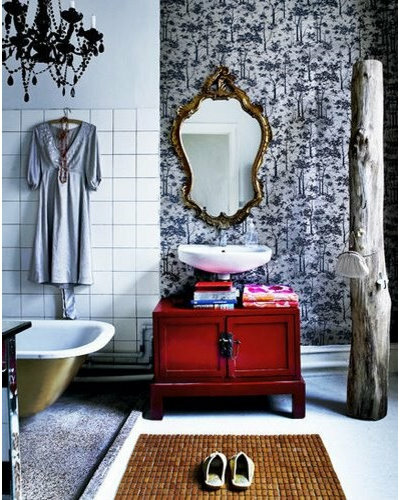 That tree trunk coat rack is too cool. 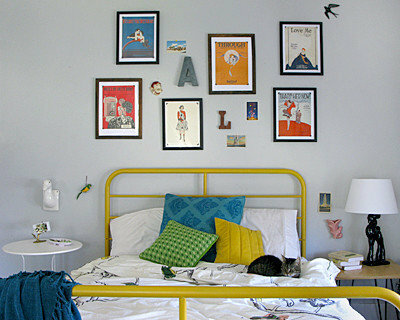 Bright yellow paint gives the iron bed a modern spin. 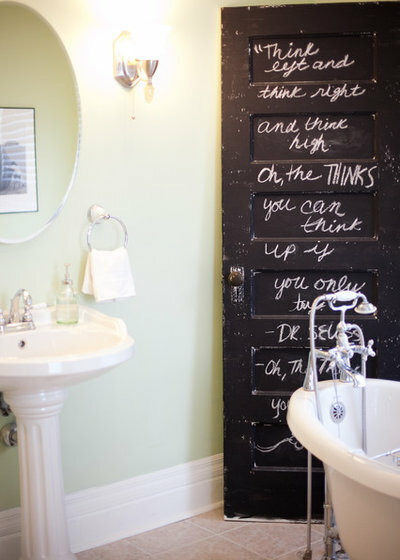 I just saw this image in another ideabook -- so fun, so quirky, so original! A little spray paint goes a long way! Wow, there is a lot going on here! 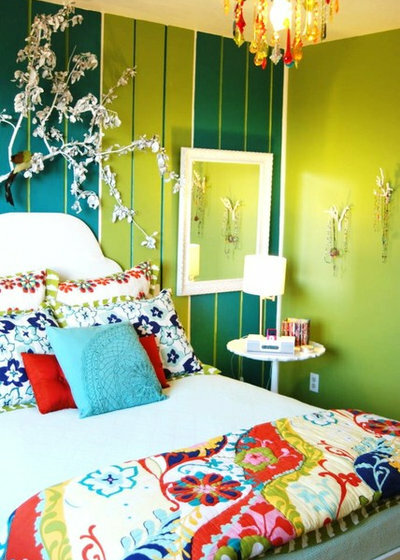 You could pick just one of these ideas to add interest to your space: Colorful printed linens, striped painted wall, or whimsical wall art. Boring kitchen? 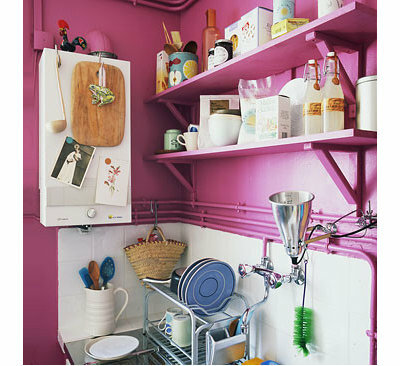 Paint the walls and shelving pink! 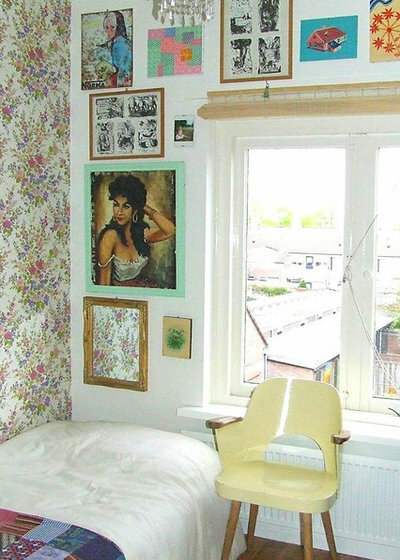 A mixed collection of artwork and cards personalizes the bedroom. 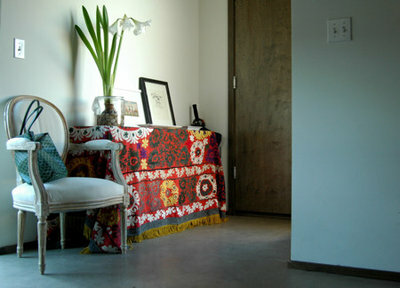 Brighten up a bland entryway with a colorful textile draped over a console table.